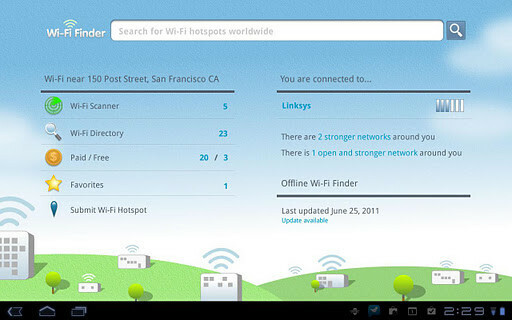 WiFi Finder is an app for Android with which we will be able to find all the wireless and open WiFi connections to connect to Internet in your Android smartphone or tablet. 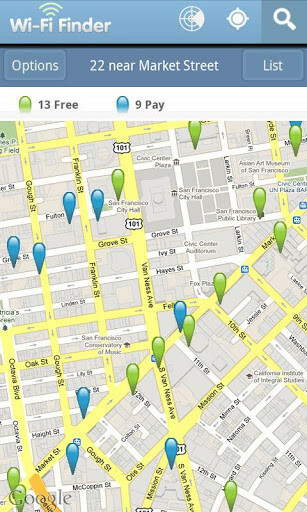 Search open WiFi nets, both free or payment, close where you are, or look for in the map the access points that are aroun the world. 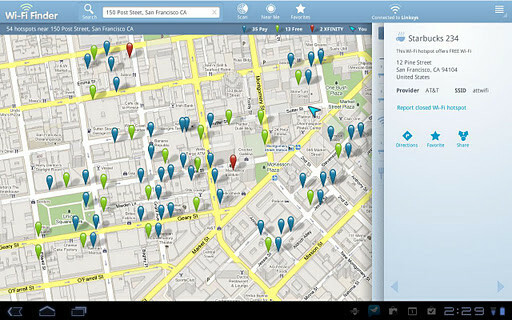 It has information of more than 550.000 public WiFi nets in 144 different countries, which makes it one of the most recommendable apps for your device if you travel a lot and you do not want to spend a lot of money for having Internet. 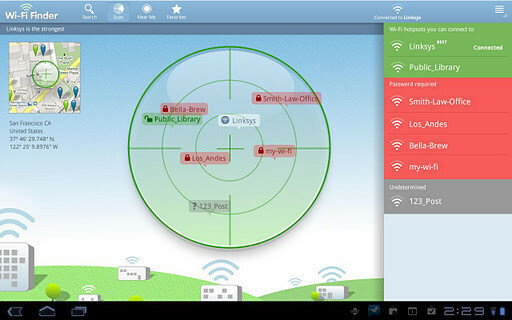 Every time you want to connect to a WiFi net, make use of WiFi Finder to find the access points that you have close, have their address and detailed information and their administrators. 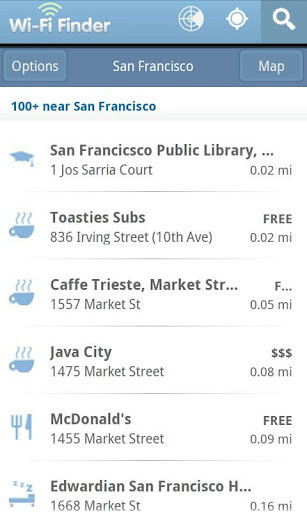 You will be able to know if it is a WiFi free or if it is payment net, if it is in a bar, in a particular house or if it is in a public square. 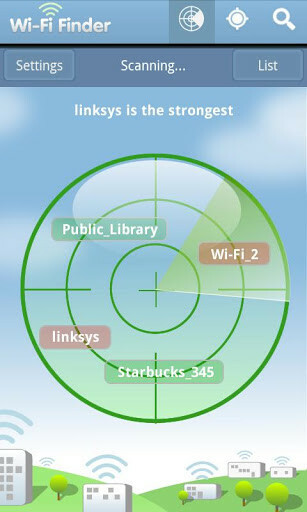 Moreover, it also includes a radar so you can see fast which are the connections that you have available so you can decide which is the best one to be connected. 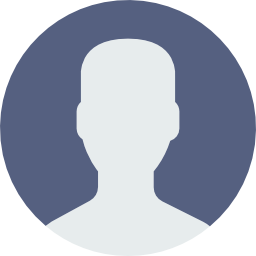 It works both in smartphones as in tablets Android and you can use it without connection, a really important characteristic as probably, your connection is what you do not have when you are looking for one. 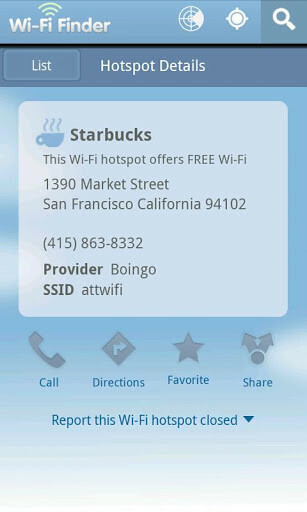 You can searcg public WiFi net according to the localization, the provider of each of them, or the surrounding where they are available, that is to say, if it is public net, if it is in a resrtaurant, a library or in a hotel. 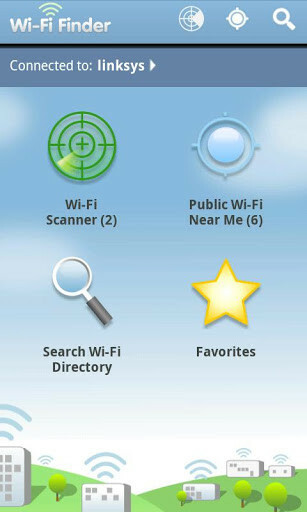 If you want an app that helps you save your data connection or find open nets when you are far from home, WiFi Finder is one of the best alterantives that you have. It's fine and is superútil, the only drawback I see is that it costs a lot to download the database for offline use and also then the performance (offline) leaves a bit to be desired. Using it first with the data connection works much better.